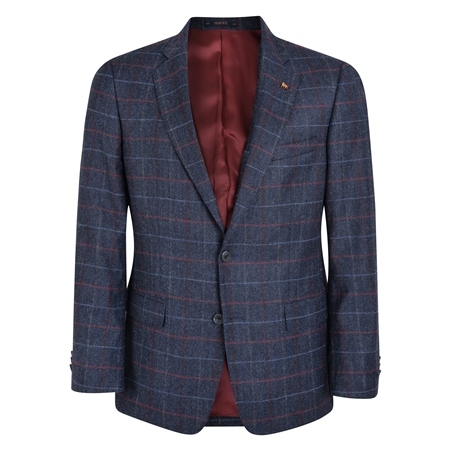 A timeless blue herringbone Donegal tweed blazer featuring a rich burgundy, green and blue check. This beautiful wool blend fabric is designed and woven in our mill in Donegal, Ireland. A great all-year round tweed blazer.